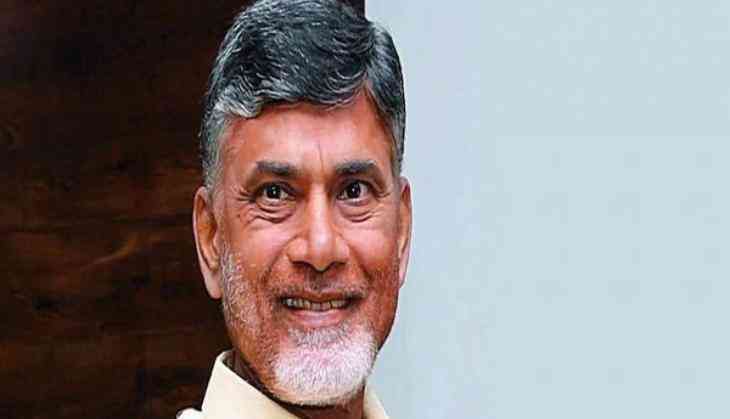 Andhra Pradesh Chief Minister N Chandrababu Naidu on 13 December stressed on the importance of digitisation and asked the state officials to work towards its implemention in all departments. During a meeting with the HoDs, secretaries and ministers, the chief minister said digitisation was important to realise a planned strategy and to ensure that the full potential of the governance was reached. "We are paid for serving the people. Not just the Gross State Domestic Product (GSDP), but every performance indicator is equally important to the growth of the state," he said. The officers presented the benchmarks for each department, including global indicators and targets for 2019, 2022 and 2029. The chief minister said that the goal of the state was to achieve 80 per cent happiness or satisfaction levels in the coming years. According to the Global Competitive Index, Andhra Pradesh has secured the 36th rank, while India is placed at the 39th rank. In the Happiness Index, India is awarded the 122nd rank, and proportionately, Andhra Pradesh is placed at 74th rank. He told the officials to assess strategies that worked in the last financial year and prepare an action plan that could be presented at the Collectors' Conference. "Each department should help maintain that Andhra Pradesh is the only state that meets for the Collectors' Conference after every quarter, and show positive outcomes and targets," said the chief minister. Naidu also emphasised on the handicrafts sector and said it needed marketing support, new designs and better packaging. Officials reported that the second version of the Core Dashboard was being developed along with the Telugu version of the portal. They informed the chief minister that top 10 sectors in contributing to the Gross Value Added (GVA) were livestock, real estate, manufacturing, construction, horticulture, trade and hotels, fisheries, transport and storage, agriculture and public administration. They informed that 76 per cent of the total GVA was determined by the 10 major sectors, and presented the comparisons with their national growth rates. As per the data in the second quarter, the agriculture sector has seen a growth rate of 24.05 per cent, as compared to 27.6 per cent in the first quarter. The industry sector witnessed growth of 6.8 per cent in this quarter, while it achieved 8.05 per cent in the first quarter. Subsequently, service sector has grown by 8.1 per cent this quarter, while it grew by 8.67 per cent last quarter. Efforts are being made to integrate the databases of the mining and quarrying sector, including information about all mines, exports, prices and it is expected to grow by 12 per cent by the end of the financial year. Naidu also reiterated that the next projected GVA is 12 per cent, and the state's ultimate goal is to reach and maintain 15 per cent. "When the all India growth rate was 7.11 per cent, we had a 11.61 per cent GVA in 2016-17. In the first quarter this year, our GVA was 11.37 per cent, while the national growth rate was only 5.8 per cent," he said. He said the goals of each department of the state should complement each other and emphasised on sustainable development, real time monitoring of performance indicators and advancement of technology.